We’re a digital marketing agency, creating award winning experiences for our modern world. Our client­ collaborative approach focuses on your needs and those of your customers, resulting in customized solutions that solve complex and challenging problems. 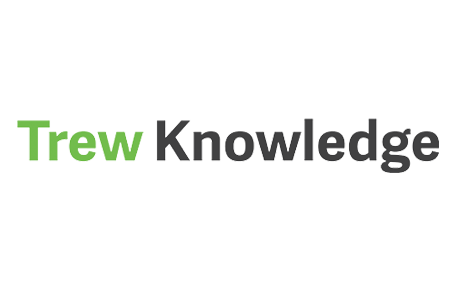 Trew Knowledge is an award winning digital marketing agency located in Toronto. We deliver solutions that leverage our innovative vision, technical prowess, and unmatched customer service. As the first and only Canadian based WordPress.com VIP Featured Partner Agency, we look forward to providing collaboration and support with unparalleled development experience for VIP clients. By partnering with some of the world’s foremost technology leaders, we’re able to offer only the most leading ­edge strategic digital solutions and put them to work for you. Build, grow, and promote your business with our Strategic Solutions. We take the guesswork out of creating experiences, growing your business and keeping your brand top of mind with customers. With specialties in brand development, campaign management, and strategic positioning our holistic approach molds your brand in a way that best impacts your audience and creates a digital experience that fosters loyalty and returns on your investment. We create the largest digital presence possible with mobile-friendly, responsive websites, e-commerce solutions, and digital media marketing completely tailored to your business goals. With a design and development process that focuses on understanding your organization’s needs, you’re getting a partner that maximizes the user experience for your customers, and keeps the process simple and streamlined for you. With our development expertise and strategic positioning, we can help build custom WordPress.com VIP themes, plugins and enterprise-­wide loyalty programs that utilize customer identity information to create unique and relevant customer experiences that emphasize security and performance on any device. Collect more data, build rich, identity­-based profiles, and turn unknown site visitors into loyal customers with our Customer Identity Management solutions. Our solutions help you build meaningful relationships with your audience, leading to better customer experiences, relevant targeted messaging, and improved ROI on your marketing campaigns. We programmed Olympic.ca & Olympique.ca — the official website of the Canadian Olympic Team — for the Canadian Olympic Committee’s official digital partner. The launch came ahead of the 2014 Olympic Winter Games in Sochi alongside the successful “#WeAreWinter” campaign that drew over 2.5 billion digital impressions. In July 2015 Trew Knowledge also programmed the Canadian Olympic Club – the official fan club of the Canadian Olympic Team. Team Canada fans now have the opportunity to show off their support for the COC by earning customized medals, engaging with content, competing with other fans and climbing to the top of the leaderboard, all while becoming an integral part of the website. Fans are encouraged to earn points by completing challenges such as sharing articles on social media, viewing featured content, completing quizzes, and connecting with Team Canada’s social networks. These points can then in turn be redeemed for digital and physical rewards – which include prizes such as tickets to Pan Am events, access to exclusive contests and chances to win official Team Canada memorabilia signed by Athletes. Whether you are looking for a full site development, custom plugin, API integration, or even just a code review our team of WordPress.com experts are ready to help.